When wealthy businessman, philanthropist and animal lover, George Bills, died in 1927 he left a remarkable will. After providing for annuities and bequests, Bills directed that income from his £80,000 residue estate be used by his trustees ‘to construct and erect and pay for Horse-Troughs wherever they may be of opinion that such horse troughs are necessary or desirable for the relief of horses or other dumb animals either in Australasia in the British Islands or in any other part of the World.’ (George Bills last Will, 1925). Over the next 12 years in excess of 500 horse troughs were erected in Australia and overseas - the majority being installed in Victoria and NSW in the 1930s. Municipal and shire councils were encouraged by the Local Government Association to apply for the troughs on the provision that proper foundations and efficient water services were provided. The Sutherland Shire received four of these horse troughs in 1939. 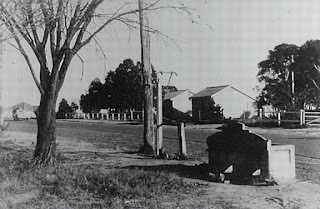 Each concrete horse trough, like this one pictured above, located near Engadine Public School on Waratah Road, was ornately designed and inscribed with the words ‘Donated by Annis & George Bills, Australia.’ Some were installed with drinking fountains for people and low basins for dogs. Today, the only George Bills horse trough in a public location in the Sutherland Shire is the one found at Carina Bay Reserve in Como.